Michael Jackson is known as the King of Pop for a very good reason: he’s the artist behind some of the most memorable pop songs of all time. While primarily known for his music, Jackson also had a sporadic acting career over the years, and there was one role in the Star Wars prequels that he apparently really wanted. 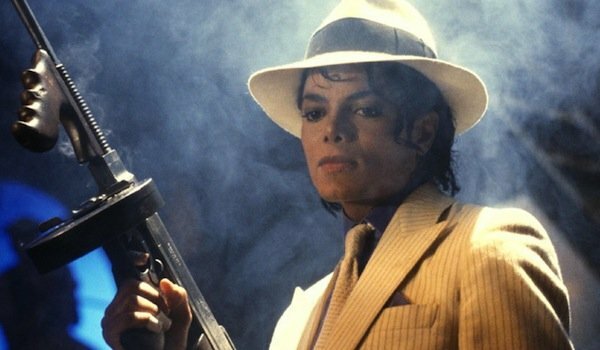 As bizarre as it sounds, Michael Jackson had his heart set on playing Jar Jar Binks. George introduced me as "Jar Jar" and I was like, That's kind of weird. Michael was like, "Oh. OK." I thought, What is going on? After Michael had driven off, we all go back up to a big afterparty. I'm having a drink with George and I said, "Why did you introduce me as Jar Jar?" He said, "Well, Michael wanted to do the part but he wanted to do it in prosthetics and makeup like 'Thriller.'" George wanted to do it in CGI. I know there are fans of the prequels out there (trust me, I’ve been raked over those coals enough time that I no longer assume everyone hates them), but regardless of your stance on the quality of the movies, after The Phantom Menace was released, Jar Jar Binks quickly became one of the most hated movie characters of all time. People cite how obnoxious he is, the awkward, ill-timed comic relief that seems to be his only role, his uselessness in every conceivable situation, and the fact that he comes across as a racist caricature, among other complaints. This is a character that has inspired entire books worth of vitriol (there’s even one called Jar Jar Binks Must Die). One fan even edited him completely out of the prequels, and, collectively, fans on the internet and beyond have spent a lot of time visualizing his slow, torturous, painful death. But how would they have reacted if it was Michael Jackson? The fact that he wanted to perform the character as a physical presence, with make up and prosthetics instead of motion capture and CGI, already sounds like a step in the right direction. One of the many issues people have with the prequels is the ubiquitous computer animation and green screen (something J.J. Abrams and the folks behind Star Wars: The Force Awakens took great pains to avoid). That soft, high-pitched voice of his, however, might have given many pause, though it couldn’t have been much worse than Jar Jar’s mumbled pidgin jargon. Best goes on to speculate that Michael Jackson’s presence would have been a distraction, that he would have been "bigger than the movie," which is a valid argument. It’s difficult to have a star of that size, especially one who only acted in a handful of things, without it drawing attention away from your film. People would have seen Michael Jackson, not Jar Jar Binks, though in retrospect, would that have been a bad thing?